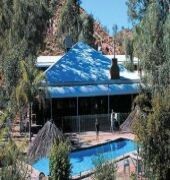 The Heavitree Gap Outback Lodge is situated on the southern entrance to Alice Springs, snuggled into the base of the magnificent MacDonnell Ranges. This is the best scenic location in Alice Springs. It lies between the Airport and the town centre, a 15 minute drive from the Airport and a 5 minute drive into the town centre. Heavitree Gap offers guests a free shuttle service into the town centre (April to October only - weekdays 4 times a day and on demand on weekends). 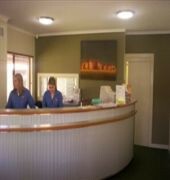 Heavitree Gap offers recently renovated Lodge style accommodation and Kitchenette Family Rooms. Accommodation is well supported by the Heavitree Gap Tavern where you can enjoy a bistro style meal whilst enjoying local entertainment such as a reptile show and local balladeers. 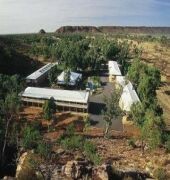 Every evening Black Footed Rock Wallabies can be fed at the Lodge an absolute must! 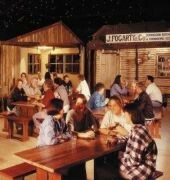 This unique activity is popular with guests of all ages.